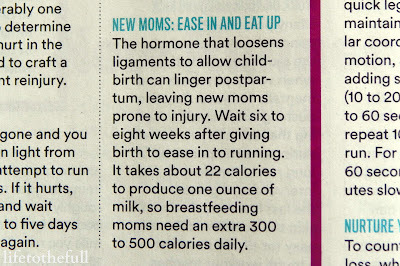 August is National Breastfeeding Month so it is fitting to talk running and breastfeeding today. Plus it's something I have spent a lot of time doing over the last 2.5 months. Can running and breastfeeding work together? Sure they can! Though I wouldn't recommend trying to do them literally at the same time. 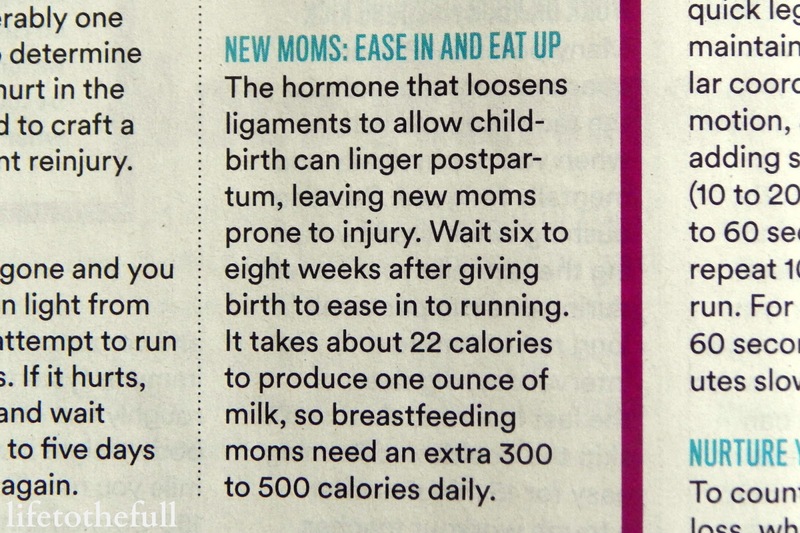 While I was gearing up to train for a Fall marathon after having our first baby, I was told that "running will make you lose your milk supply". Baby E would only be 7 months old on race day so I pumped extra to make sure he had enough milk for at least his first year. Well... I didn't lose my milk after all (which I am very thankful for!) and was left with an epic collection of frozen milk. If anything, regular exercise caused my milk supply to increase. Continuing to run while caring for and nursing a baby does require a lot more motivation and energy but it's totally do-able. Despite the running and breastfeeding myths, running hasn't had any negative effects on the quality or quantity of my milk supply. I nursed our first son until he was 14 months and my goal is to make it to at least a year with our second son. Breastfeeding is such a beautiful bond. It's borderline miserable in that first month (at least for me!) but once mom and baby get the hang of each other, it's a wonderful gift. More support means a more comfortable run! Nursing pads are great for preventing potentially very awkward leaking situations. "Running on empty" is a good thing when you're a breastfeeding runner! I always pump before long runs and races. That way I feel more comfortable and there is plenty of milk to leave for baby's bottle. Breastfeeding makes me so hungry - much more hungry than during pregnancy. In the latest Runner's World magazine, I learned that it takes 22 calories to produce just one ounce of milk. That means one pumping session of 8 ounces of milk burns approximately 176 calories! That explains the crazy breastfeeding hunger. The key is to eat quality calories, especially extra protein and calcium. Nurse baby or pump right before you head out the door for a run. If I'm running with the kids in the stroller, I bring with the nursing cover just in case baby's hunger strikes again. To make sure both mom and baby are getting the vitamins and minerals they need, continue taking a prenatal vitamin even while breastfeeding. Through my pregnancy with Baby W and now while breastfeeding, I have been taking the <affiliate link> Rainbow Light Prenatal One . Being a breastfeeding mom that runs means you need even more fluids to stay properly hydrated. If you want to boost your milk supply, drinking Mother's Milk tea is a great option. I drink this tea now and then when Baby W is in a big growth spurt. I'm picky about my teas but I really like the flavor of this one, especially with a little added half n' half! 8/3 M - 3 miles with the double jogger, 30:00 @ 10:00/mile. Quite a few walk breaks to re-insert Baby W's pacifier! 8/4 T - 4 treadmill miles of 400m hill intervals, 38:00 @ 9:30/mile average. 400m @ 6% grade followed by 400m recovery jog. 8/5 W - Pump & Burn DVD workout from Beachbody. 8/6 H - 5.32 miles, 45:00 @ 8:28/mile. Legs felt like lead but I pushed through and felt much better by the last couple miles. 8/7 F - Off. I'm trying Fridays out as a new rest day. Sundays are the perfect long run day because my husband is home to help with kiddos! We'll see how this trial week goes. 8/8 Sa - 3.25 miles with the double jogger, 32:00 @ 9:43/mile. 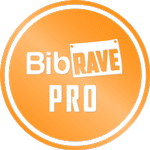 8/9 Su - Long run: 10.4 miles, 1:29:47 @ 8:37/mile. Negative splits. What day(s) of the week do you take off from exercise? great training week and I'd say you have the whole breastfeeding schedule thing down to a science! My rest days always change based on the hubby's schedule :) gotta give the guy a little time too. I remember these days! Yes, it was always nurse first, run next. I remember sneaking out of the house early in the morning, but I would always feed Aijah before I left, even if that meant waking her up and putting her back down. It was her that actually got me started with waking up early, and I will never NOT wake up early now. I LOVE IT! Great post! I totally agree. I didn't have any issues with running and breastfeeding. And instead of doubling up on sports bras, I invested in the Moving Comfort Juno. It fit like a straight jacket but it was totally awesome and my girls never moved! Taking it off while the ladies were full was another story... Ha! I will have to check out the Moving Comfort Juno! Running while "full" is not my favorite, but sometimes it's unavoidable. I'm currently pregnant with my first child, and hope to breastfeed while getting back into my running routine. Reading your story and tips gives me hope. Thanks! Oh you can totally do it, Kathryn!! !